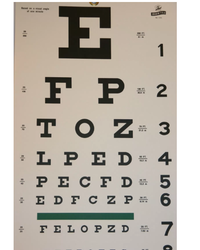 - This Snellen chart includes Red and Green color bars for an easy and helpful color vision test Screens for Amblyopia Snellen optotypes date back to 1862, when Herman Snellen released his first eye test in England. 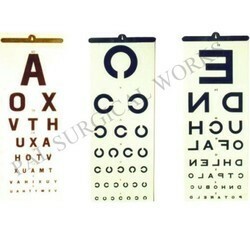 - These Snellen optotypes have changed little throughout the years and are used regularly today. We are highly acknowledged organization engaged in presenting a remarkable range of Vision Monitor.